New York, May 12, 2005 - Cuba Art NY announces BRIDGES: Cuban Art Outside Cuba, a panel discussion with three well known experts on Latin American Art - Ricardo Viera, Director of Galleries and Professor of Museum Studies, Lehigh University; Alejandro Anreus, Associate Professor of Art History and Latin American Studies, William Paterson University; and Jorge Moya, advertising executive and leading collector of contemporary Cuban art, to take place on May 26, 2005 at 5:30 pm at Dactyl Foundation, 64 Grand Street, NYC. Following the discussion, the panel will answer questions from the audience. This event is part a groundbreaking exhibition on Cuban Art that is taking place at the same location during the month of May. 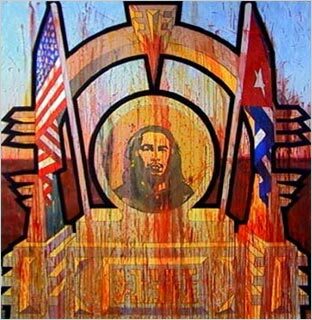 Interest in Cuban Art shows no signs of abating and this month long exhibition highlights the refinement and creativity of some of todays most important Cuban artists.